Lamborghinis are the literal poster boys of the automotive industry, creating pure works of art that can go like the wind. And the Aventador LP750-4, with a phenomenal 217 miles per hour top speed, is the culmination of decades of Italian automotive prowess. The cars massive V12 engine produces a whopping 750 horsepower, accelerating this beast from 0 to 60 in just 2.8 seconds. British car manufacturer, Ascari, came up with the massively powerful A10 to commemorate its 10th anniversary. The A10 has the performance of a modified 625 bhp BMW 5-series V8 that accelerates the A10 from 0 – 60 miles per hour in less than 3 seconds. 0-60 in 3.0 seconds, a 4.2 litre V8 that spits out 650 hp, and a base price of $450,000, the Gumpert Apollo is a German sports car that was inspired by jet fighters. The company claims that its Apollo can drive at up to speeds of 190 mph, upside-down, in a tunnel. The British M600 is probably the simplest and least expensive car on this list, which isn’t saying much considering it’s a list of supercars. This discrete little pocket rocket packs in a 600 hp engine that takes it from 0-60 in 3.7 seconds. M600s are hand built in Leicestershire, and can set you back by $200,000, a piece. Pagani took the supercar world by storm with the prolific Zonda, but the Huayra is already known for its unreal performance figures, courtesy of a 6-litre Twin-Turbo V12. The car cost a little over $ 1,300,000, but can rocket from 0-60 in just under 2.6 seconds. The Zenvo ST1 is hand-made supercar from Danish manufacturer Zenvo, and the country’s first supercar, ST 1. Priced at over $1,800,000 for a very limited number of cars, the ST1 can propel from 0-60 in under 3 seconds, and reaches a max speed of 233 mph. The impressive 6.8-Liter V8 generates an impressive 1,102 hp. Before taking a dab at Ferrari and Lamborghini, British manufacturer, McLaren, was only known for its Formula 1 wins. But the McLaren F1, with a carbon-fibre body that hides a gold-lined 6.1-liter V12, has become an automotive icon of legends. Pristine examples can sell for over $5,000,000, and the car’s centre driver’s seat probably makes it the coolest car in the world. 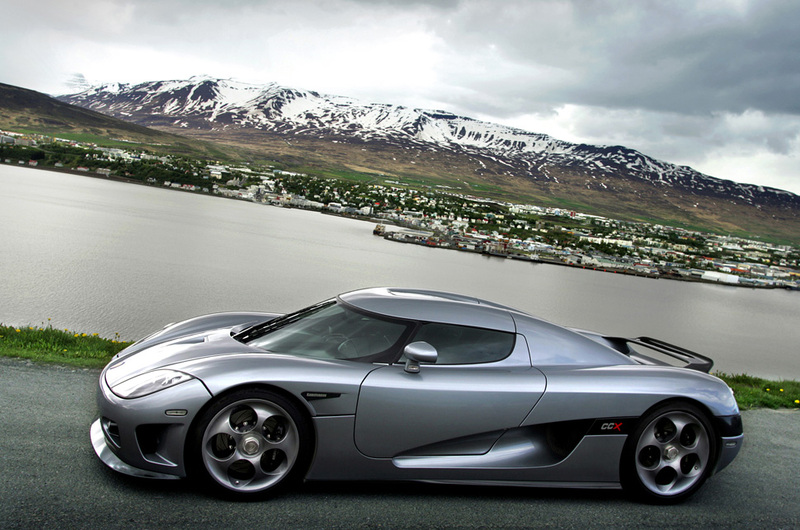 First appearing in 2006, the Koenigsegg CCX is a mid-engine, twin-supercharged V8 monster that churns out 806 hp. Available on order from the Swedish car company, a CCX costs about $4,800,000, and its 4.8 litre engine can reach a top speed of 245 mph. The S7 was first introduced in 2000, and pretty much signified the beginning of a battle of supercars that goes on to this day. The 2005 model cost about $600,000 dollars at that time, and its 750 hp, 5-litre raptor engine catapults it from 0-60 in less than 3 seconds. Shelby Super Cars (SSC) might have no relation to Carroll Shelby, but its Ultimate Aero was the fastest production car in the world, for a very brief moment. This $650,000, 6.3-liter twin-turbocharged V8 churns out a massive 1,287 hp, taking the car from 0-60 in 2.5 seconds. A unique feature of this American supercar is that it has no electronic driver aids, creating a direct connection with driver and car. Built over the iconic Porsche 911 platform, the GT9-R is a product of German tuning company, 9ff. The looks and styling can fool anyone into believing that it’s a regular 911, but the $ 1 million plus price tag tells you that it’s not! The modified 4.0-Litre Flat 6 can take the GT9-R to top speeds of 257 mph. Unlike household names like Ferrari & Bugatti, Koenigsegg has managed to develop a reputation in a very short period of time. And the Agera R is a fine example of the why the company is so famous. With a top speed of over 273 mph, the Agera R is by far the fastest supercar on the market. Its 5-Litre, turbocharged V8 gallops on 1140 horses, and can do 0 to 186 mph in less than 12 seconds. It seems that French manufacturer, Bugatti, was taken over by VW in 1998 with the sole purpose of creating the world’s fastest production car. The original Veyron achieved that, but was quickly overthrown, but won it back again with the super sport. With a price tag of $2,250,000, this quad-turbocharged W16 engine behemoth produces 1,000 hp, taking the car from 0-60 in under 2.4 seconds. It also boasts of the most luxurious features available in a hyper car. What do you get when you combine a feather-light Lotus Elise chassis with a thundering 1,244 hp 7.0-liter twin-turbo V8 engine? The obvious answer would be; rocket ship, but in this case it’s the world’s fastest production car! The $1,200,000 Hennessey Venom recorded a top speed 270.4 mph, but isn’t officially recognized as the world’s fasted car since it was a one way drive. With specifications that are in line with that of a child’s fantasy, the Devel Sixteen will be the world’s fastest limited-production car to ever grace the roads. The Devel was first seen at the 2013 Dubai motor show, and is reported to cost in excess of USD 1 million. This four-wheeled rocket features a mid-mounted V16 engine that produces 5000 (claimed) horsepower, catapulting the car from 0-60mph in 1.8 seconds, flat.